The third generation of the Porsche Cayenne is here, and there’s plenty to be impressed with. Launched in two variants; the Cayenne and Cayenne S, the vehicles take comfort and sportiness to another level with features like powerful turbo engines, mixed tyres and rear-axle steering — just to name a few. “The new Cayenne promises to be more Porsche and more Cayenne than ever. The Cayenne has also been digitalised and networked throughout to provide another level of digital connectivity to the cockpit. This is how the Cayenne makes the Porsche experience even more fascinating but remains as a genuine sports car for five,” said Arnt Bayer, Chief Executive Officer of Sime Darby Auto Performance. Expect enlarged air intakes, horizontal light edges, and a three-stage lighting concept for the headlights that allows the high beam not to glare opposing traffic. The exterior length is slightly increased and roof height is reduced. 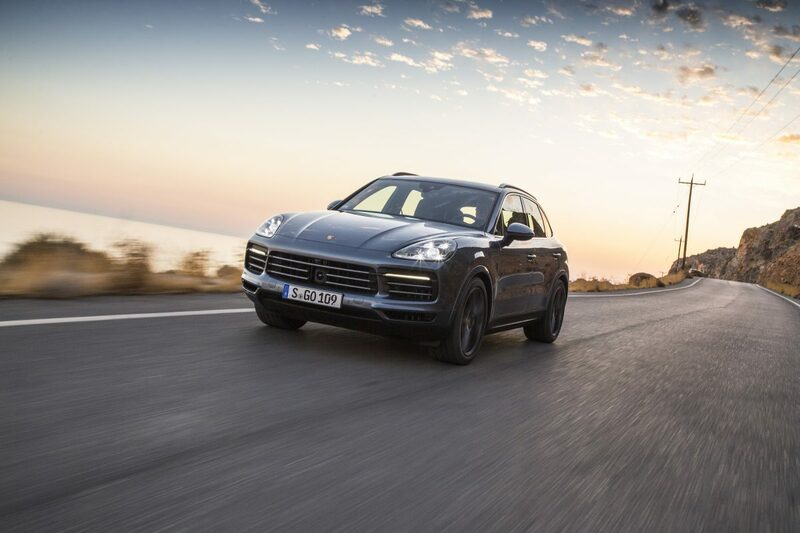 The Cayenne’s performance range extends to the new eight-speed Tiptronic S gearbox, with shorter response times and sportier ratios in the lower gears. Programmed off-road modes make it easy for the driver to select the right setup for their drive. Four other modes activate the conditioning for mild off-road terrain: Mud, Gravel, Sand or Rocks. The vehicle combines three chassis concepts in one new design: sports car, off-roader and touring car. On top of that are the new mixed tyres which improve stability and driving dynamics on bends. For the first time, the Cayenne is available with electric rear-axle steering. This system improves agility on bends and stability when changing lanes at high speeds.With the optional Porsche Dynamic Chassis Control (PDCC) roll stabilisation, sporty drivers can also benefit by changing from a hydraulic to an electric system. The drive has even more potential when it comes to sporty performance. With the Sport Chrono Package, the Cayenne accelerates from zero to 100 km/h in 5.9 seconds, and in just 4.9 seconds with the Cayenne S.
The car’s body is made of alloy and steel, with a total weight reduced from the previous 2,040 kg to 1,985 kg. This reduced weight is remarkable considering the significantly extended standard equipment like larger wheels and front and rear ParkAssist. The Porsche Advanced Cockpit comes with a 12.3-inch full-HD touchscreen and a range of digital functions that can be operated intuitively, including by voice control. In true Porsche style, the driver has a central analogue tachometer to view. Up to six individual profiles can be configured to include a number of interior settings, specifications for lights, driving programmes and assistance systems.